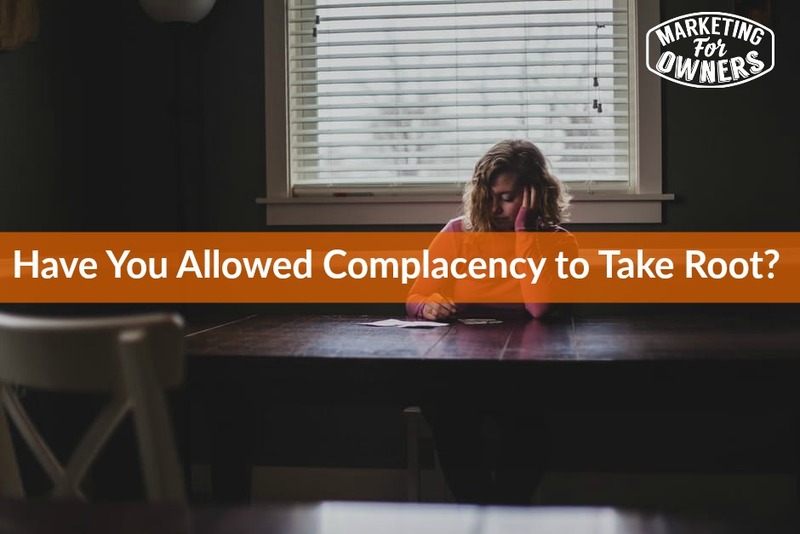 Today we are talking about complacency in your business. In the business world, the whole world no matter what country you are, is changing. It was changing last year, it was changing ten years ago; it was changing twenty years ago. It is going to change in five years’ time; it always changes. Now, whatever business you are in, you are obviously very good at it. The fact that you are still in business is a testament to your ability to determinedly earn your keep. That is a good thing, congratulate yourself on that – well done, you! Honestly, there are, it’s well known that self-employed people and/or sorry, “entrepreneurs” in other word, earn less than people who are employed. If you didn’t know that, then sorry, it’s a well-known statistic. They also work longer hours and have all the stress. Now that’s us, me, you, yeah, that’s us. But we are also the backbone of the economy because something like, at least 95% of businesses in most, in virtually any country in the world employ less than ten people. And we are the driving force, they you talk about the big ones. But what we do is under attack; it’s under attack all the time. It’s under attack from Amazon, from Wall Mart, from Tesco, from the big boys, from Uber – everyone. And I am a big fan of it being under attack; I am a big fan of modernization. It is the way of the world because as well as running a business, I’m a consumer. I buy stuff. So, I cannot understand why people are having a go at Uber, because when I went to airport recently, instead of paying $120, I paid fifty-something for an Uber to take me from the same place to the same place. Any, somebody, anybody, explain what is wrong with that? But this is modernization, it’s under attack. Now, Uber is a bad example because I can’t imagine you are about to start an app if you got a taxi firm and I am sorry for you if you got a taxi firm, this is just the way of the world. It’s not a personal attack on you by Uber and Lift, and all the others. It’s the way of the world. What we have to do is not sit back and take it. We have to modernize and so, are you complacent? Have you let complacency take root in your business? Are you just sitting back and complaining about it? When Amazon apparently wiped out all the local little, tiny bookstores, were you visiting those little bookstores? How many things did you buy from those bookstores? How many things have you bought from Amazon? Amazon started with books and now they are doing it to everything else. Some of these things are old and they’re quaint but let’s not disguise or let’s not mix up the two. Modernize your business, please. Are you using telesales? If so, stop! Telesales is not very effective anymore. It annoys people. You get annoyed when you get called at home with someone saying, “Hello, are you on benefits?” or “Urgent message for – if you need to replace your boiler,” and all these kind of calls. These are, people look at your telesales calls the same, so why are you doing it? You are thinking because it’s the way we have always done it. Well, that no longer is an excuse. What you should be doing is you should, the world, unless you haven’t noticed, is online. You are listening to this on your smartphone or on your mp3 or on your laptop or whatever it is, you are listening it on something that didn’t exist twenty years ago. Some of them didn’t exist ten years ago. Okay. Things change, you have to change too. The world has changed but it’s made it easier for you, it’s made it easier for you, it’s made easier for people to come in and compete against you. So, start getting ahead again. You have a reputation they don’t. You’ve got customers. So, get online and start talking to your customers, and that’s what it’s all about, communication. People buy from people. People buy from companies they like because the people there are nice. Remember you’ve got that supplier and you always speak to Steph, she is great. When you phone-up, you don’t just say, “Put me through to sales,” you say, “Put me through to Steph.” That’s what you want. It doesn’t matter if you are an accountant, if you are running an engineering company, if you are a mechanic, if you are a landscape gardener, if you are a lawyer, it does not matter. Talk to your clients, your potential clients. Get a personality, you have one. Have you ever been invited to a dinner party and after about twenty minutes, asked to leave because you have no personality? No! People talk to you. You are what you are. You might even be funny, you might even be the life and soul, but your friends like you. It’s not just because they are your friends, they are not being nice, you are nice. I like you, you are great. You are even good-looking, better looking than you think. So, let your customers know. Get some personality. Write to them, email them. Now you might say I haven’t got their email addresses, yeah you have! And alright, if you say I haven’t got their email addresses, why aren’t you just thinking, “Okay. So, we’ll have to start ringing them and asking them for their email addresses. Or we have to start taking email addresses when we take orders.” But I reckon you’ve got their email addresses. So, if you have that, why not write to them? Why not just, out of the blue, say, “Hey, you’ve been dealing with us for years, I bet you don’t know anything about us. So, I’m going to write you some emails. I’m going to write you a little series, just once a week and I’m going to explain how I started the company, and how I built it, and some of the trials and tribulations, and how we’ve developed and how you’ve helped us, and how, and the help we want from you,” and things like this. This isn’t going to get you an order tomorrow; this is going to build a rapport, it’s going to build a deeper relationship, and it’s going to allow you to compete. Because people won’t want to move away from you to these new young upstarts. They don’t want to go and buy their books from Amazon because they’re going to buy it from Steph because Steph is lovely. I know about Steph; I remember when her kids were ill and they had kidney disease and had to have gone dialysis but she had to run the business, she still had to run the store and get down there because you wrote and explained. They like you. So, please, don’t be complacent and please, don’t complain about other people doing what you would do if you started a business today. If you want to beat, if you want to start a business and beat the people already there, you do it the modern style. So, why don’t you modernize? Why don’t you do some of the things I’m trying to tell you? There are free tools; there are so many free things. This does not cost money and do not think, “Well, I don’t know how to do it,” yes, you do. It’s, the stuff is fool-proof. It’s easy. The people that make this stuff, they make softwares to build websites, to email, to do things, they make it easy. Do you use Gmail, do you use Outlook? Those tools. Did you need to go on a lesson to use them? It’s the same with all the others. The things you think you can’t do. So, please stop allowing complacency to take root into your business. Build, start building the future. There is a phrase that, “The best time to plant a tree was twenty years ago. The next best time to plant a tree is today.” Apply that to your business. Gosh, getting all deep. Alright, book for the week. This is a good one because you’re going to have lots to do. This is by David Allen, it is called ‘Getting Things Done’, GTD. 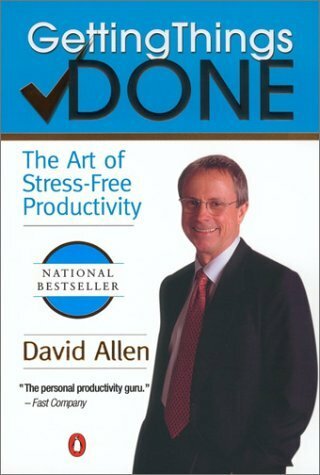 It shows you how to be more productive, how to be more efficient. Just go and read it. Brilliant. I’ll be back tomorrow.